The tech giant righted itself this year, improving key products—and delivering a few, true surprises. Windows 10. Surface Book. HoloLens. Office. Microsoft arguably delivered the biggest updates, changes, and surprises of any major tech company this year, most of them positive. While Microsoft deserves credit for the good, it can't escape the bad—and it ends the year with a few notable disappointments. Look back with us on a very busy year for Microsoft. We've winnowed the list to the biggest hits and misses—did we overlook anything that was big to you? Let us know in the comments. Windows 10 was the do-or-die makeover for the company's flagship operating system, and in most ways, Microsoft delivered. It removed the worst of Windows 8, brought back the best of Windows 7, and added cool innovations like the Cortana virtual assistant and universal apps that promise to work across all Windows platforms. It isn't even charging for the OS (yet). Some of Windows 10's big changes are less welcome: its forced updates, for example, and its eagerness to watch your online activity so it can help you (or sell you) more. That may help explain why Windows 10 was still only the third (or fourth, depending on how you look at it) most popular operating system in Microsoft’s lineup. But we still call it the best OS since Windows 7. 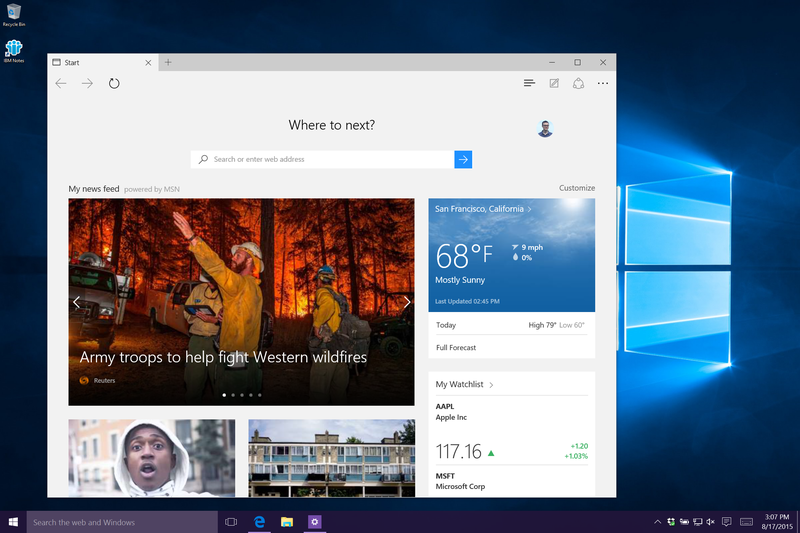 So far, it’s hard to see what Microsoft accomplished with the release of the new Edge browser. It might be more secure than Internet Explorer, and it’s been integrated with Windows 10—but that’s about it. At launch, Edge underperformed virtually every other browser. Though it has markedly improved since then, a lack of features—including plugins and syncing across platforms—makes Edge just another Microsoft browser we'll use to download competitors like Google Chrome, at least on desktop PCs. On Windows phones, though, it’s not too bad. 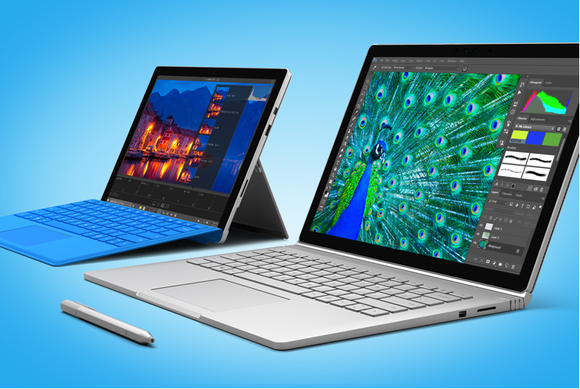 Microsoft outdid itself on Surface hardware this year, improving on the Surface Pro 4 and stunning the tech world with the Surface Book's innovations. Microsoft has suddenly become a hotshot hardware company. 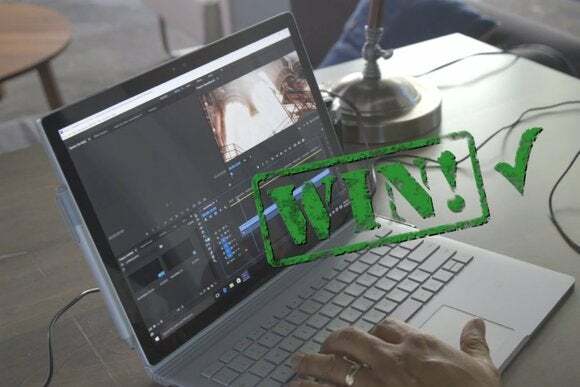 The Surface Pro 4 managed to improve upon the exemplary Surface Pro 3—the combination of Intel’s Skylake processor and an upgraded chassis design eliminated nagging cooling issues. Microsoft’s Surface Book, meanwhile, is a showstopper: a 2-in-1 with a keyboard that houses an extra battery and even an external GPU. Some lingering driver issues have held back both devices—the same sort of bugs that plagued the Surface Pro 3 during its early days—but they're still outstanding ambassadors for the Windows 10 platform. If only Windows 10 Mobile could borrow some of Windows 10's mojo. 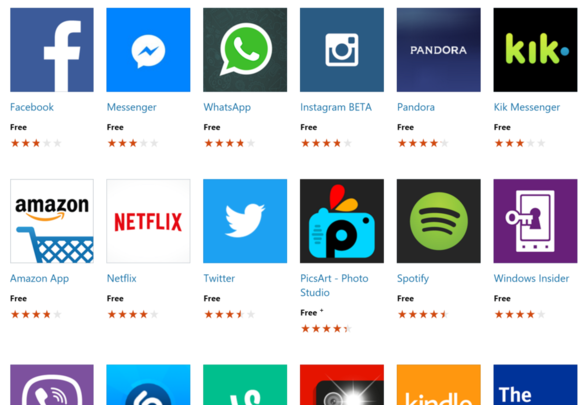 The operating system offers little to convince existing Android and iOS owners to switch: Its user experience is a bit blah, and there’s still the persistent “app gap.” As of early December, Microsoft had yet to roll out Windows 10 to owners of older Windows Phones, meaning that for the bulk of Windows Phone owners, the jury is still out. 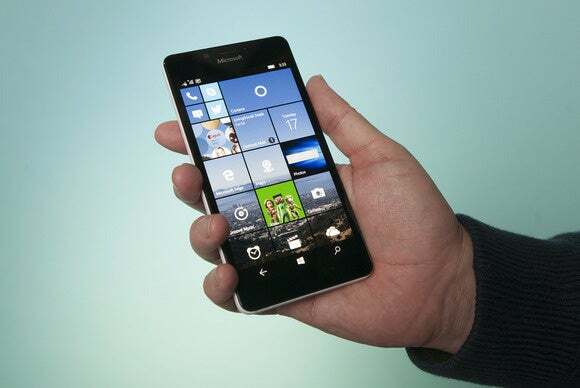 Meanwhile, Microsoft’s first flagship phone in almost two years barely placates the Windows faithful. Compared against other Windows Phones, the Lumia 950 and larger 950XL represent a true leap ahead—but not when compared to cutting-edge hardware in the Android and iOS camps. They're a solid “me-too” effort rather than a home run—and really, the ecosystem needed the latter. Could a rumored Surface phone save the day? Yes, Continuum is something to be genuinely excited about. 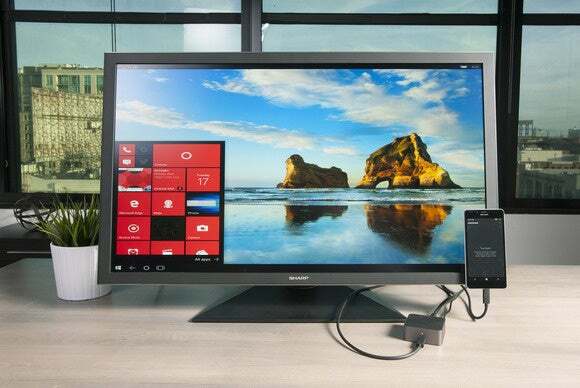 Yes, it requires a standalone peripheral (either the Display Dock or a Miracast dongle). But what’s nifty about Continuum is that Microsoft’s universal apps can be projected onto the larger screen—including Microsoft’s superior Office Mobile apps, which are supposed to be free only on phones or tablets smaller than 10 inches. Most importantly, Continuum allows Microsoft to claim that a Windows phone can be a PC, too—something that none of its competitors can say yet. Microsoft’s first stab at augmented reality is an undeniable success, even though it has yet to ship. Microsoft’s unveiling of the HoloLens in January generated more excitement than possibly any other product announcement in its history, and the early hands-on demonstrations were jaw-dropping. 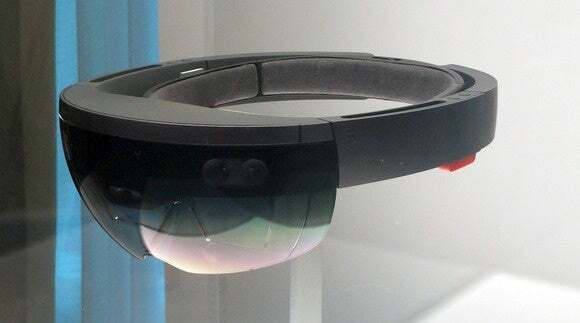 There are caveats: It appears HoloLens won’t ship until 2016 at the earliest, and even then, only as a developer product. The field of view in which 3D holograms are overlaid on top of real-world objects has seemingly shrunk with each iteration. No one’s quite sure exactly what it will be good for, or what it will cost, and so on and so on. But what an absolutely amazing piece of technology. What's black like the HoloLens, curved like the HoloLens, and yet not quite as amazing a piece of technology? Microsoft debuted a second generation of its Band fitness tracker this year, and it still doesn't impress. 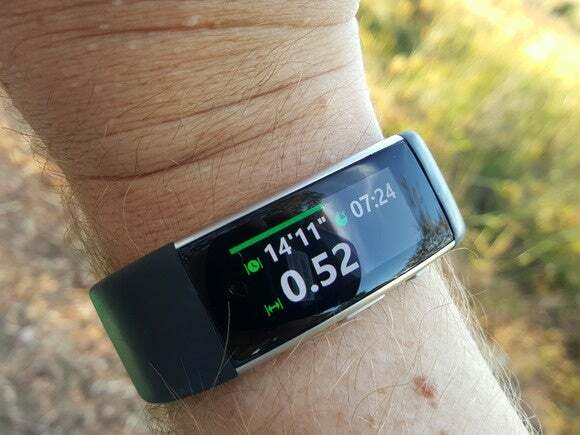 Sure, it's not really a smartwatch, but we must nevertheless compare its paltry, 20-odd fitness apps to the voluminous collections available for Apple Watch and Android Wear devices. A recent update seems to signal a greater commitment by Microsoft to developing the Band, but it's going to take more than a few new tiles to make a dent in the wearables market. Perhaps Microsoft is holding out until a proper Windows 10 IoT version launches, such as a third-generation Band. Then can we call it a smartwatch? Whether you buy the standalone version or an Office 365 subscription, Office’s latest iteration is optimized for team collaboration—one of the chief demands, we imagine, of Microsoft’s enterprise customers. In this, Microsoft delivers. 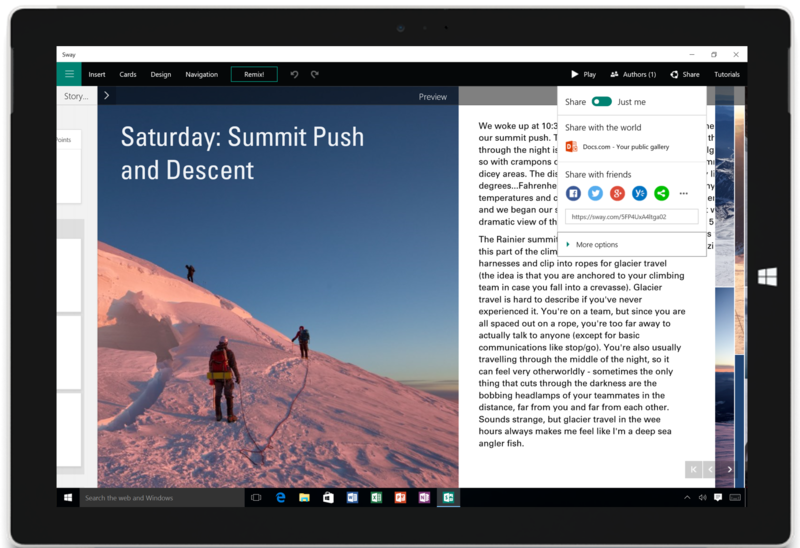 We like the “tell me what to do” feature that cuts through the menu clutter, as well as the new Sway content publishing app. It keeps the business faithful happily productive while also quietly introducing new capabilities that Office will need to stay relevant in a rapidly shifting software landscape. Microsoft impressed developers and journalists alike by announcing plans to alleviate the Windows 10 “app gap” by providing tools for porting Android and iOS products to Windows 10 and Windows 10 Mobile. The “Project Astoria” bridge to port Android apps to Windows has reportedly stalled, however, leaving its iOS-to-Windows toolset, Project Islandwood, as the last hope. Islandwood, though, is in an “alpha preview” state, and we’re not likely to hear anything more about it until March, when Microsoft holds its next Build developer conference. Meanwhile, the Windows app market languishes, both on mobile and desktop. 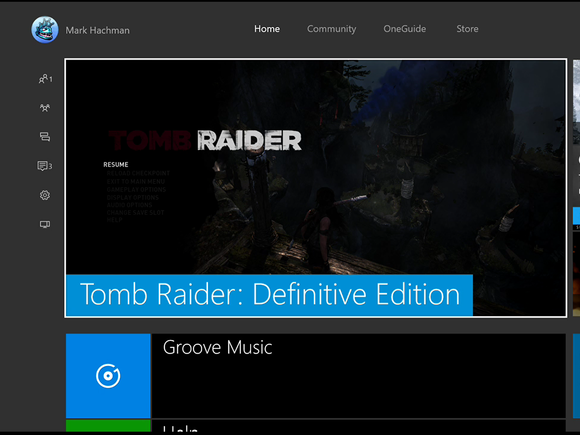 Microsoft’s revamp of the Xbox One interface reminds me more of a webpage than a game console, but it also provides a backdrop to two other, fantastic features: streaming games from the Xbox One to Windows 10 PCs, and backward compatibility to dozens of games for the Xbox 360. You might think that Microsoft would charge for such a feature, but no—they’re both free. And more features are to arrive in the coming months, including Microsoft’s digital assistant, Cortana. In 2014, Microsoft promised that Office 365 subscribers would eventually receive unlimited OneDrive storage. A few weeks ago, Microsoft went back on its word. Customers went nuts, but it was too late: Microsoft had taken a moonshot promise and brought it crashing back to earth. Thank goodness for Google and Amazon, right? Wait: Just a few days ago, Microsoft quietly launched a preview site for keeping your OneDrive space—but there's a catch. From the rude initial news to this almost reluctant backtracking, this is a miss Microsoft could have avoided by not messing with a good thing.